With a powerhouse line-up of Johnny Cash, Waylon Jennings, Kris Kristofferson and Willie Nelson, the Highwaymen were country music's ultimate supergroup. 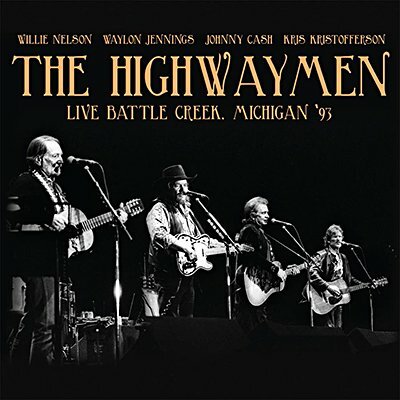 Broadcast on local station WBCK-FM, this two-disc set presents two hours of music from their April 15, 1993 concert at the Kellogg Center in Battle Creek, Michigan. Besides a few songs from their first album, the quartet also performed many of the hits from their solo careers, including such country classics as 'I Walk the Line', 'Me and Bobby McGee', 'Blue Eyes Crying in the Rain' and 'Are You Sure Hank Done It This Way'.